Open Call: Do You Have What It Takes? 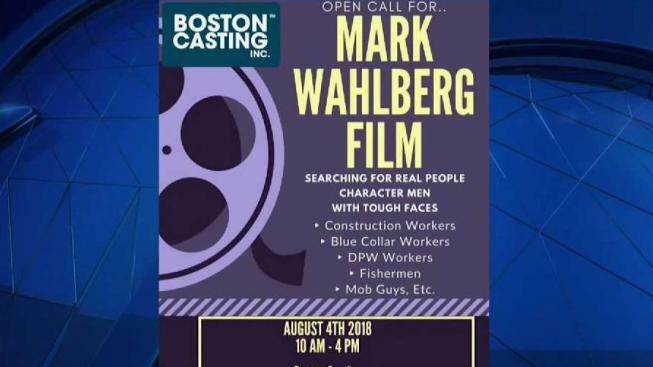 Boston Casting is holding an open call for men with "tough faces" for the newest Mark Wahlberg film being shot in the area. If you've got a "tough face" and have always thought you have what it takes to be in movies, casting directors for Mark Wahlberg's next flick might be looking for you! Boston Casting is holding an open call Saturday, Aug. 4, from 10 a.m. to 4 p.m. at their Allston offices for the new Wahlberg movie being shot in the Boston area. According to a Facebook post, the casting company is looking for "character men with tough faces." They are looking to cast for speaking roles and extras who can play construction workers, blue collar workers, DPW workers, fishermen, and mobsters. The name of the Wahlberg movie hasn't been disclosed, but according to IMDB, the actor, producer and Dorchester native has "Wonderland" in pre-production. The movie, being directed by Peter Berg, is about an ex-felon who returns to Boston's criminal underworld.